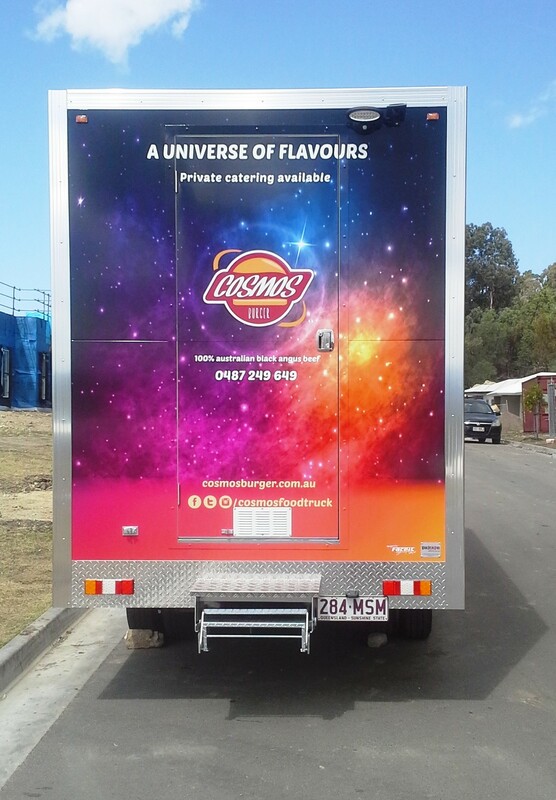 Just landed on the streets of the Gold Coast is Cosmos Burgers, a unique custom built food truck created by the Van Demons Team, now pumping out the best burgers in town. 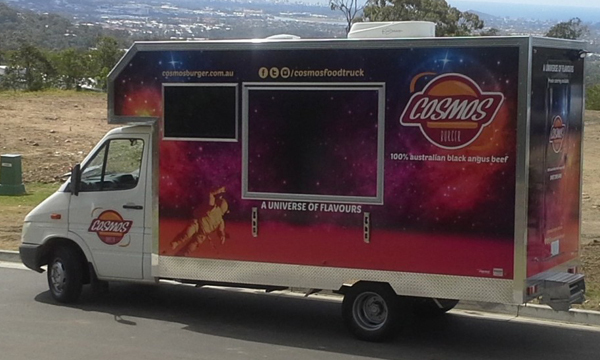 Cristiano and his good friend, chef Marcos, are the Brazilian boys bringing to the Gold Coast a “universe of flavours” in their tasty, juicy burgers lovingly created with grass fed beef, homemade sauces and fresh brioche buns. Our expert mechanical knowledge aided Cristiano and Marcos to choose the right truck for the job – a Mercedes Sprinter. 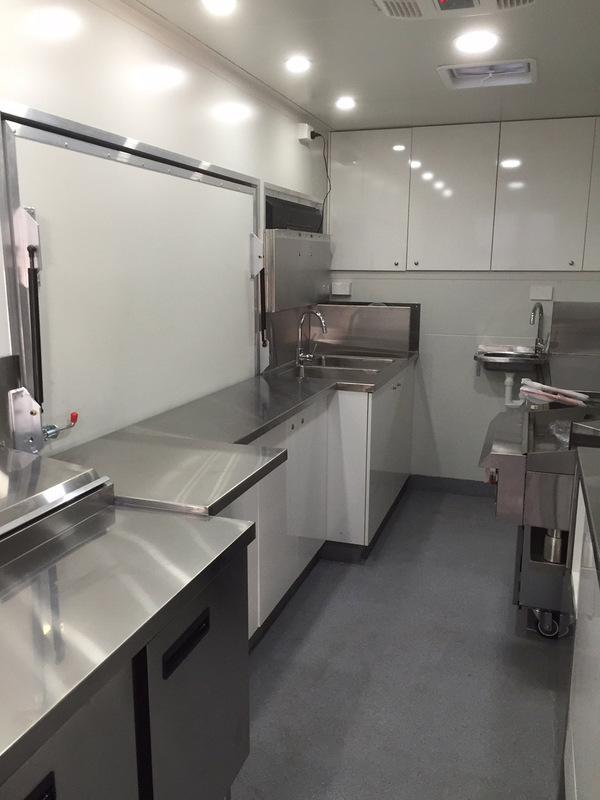 The truck body had to be built big enough to fit a busy commercial kitchen – one that was capable of pumping out hundreds of burgers a day. 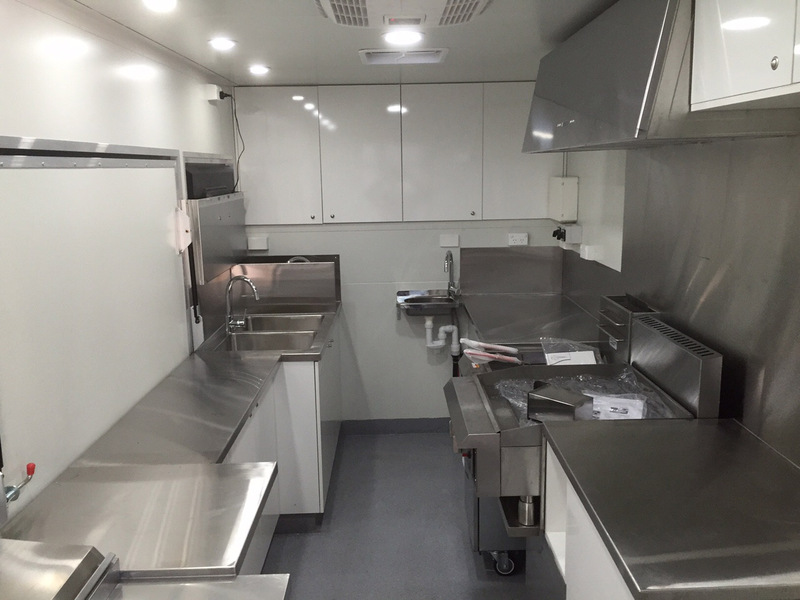 Overhead storage cupboards were built into the canopy overhanging the truck cab. An LED TV was mounted behind clear Perspex next to the serving window to display menu choices. A sizeable silenced generator fitted to accommodate the high speed bun toaster, along with all the other commercial electrical appliances. 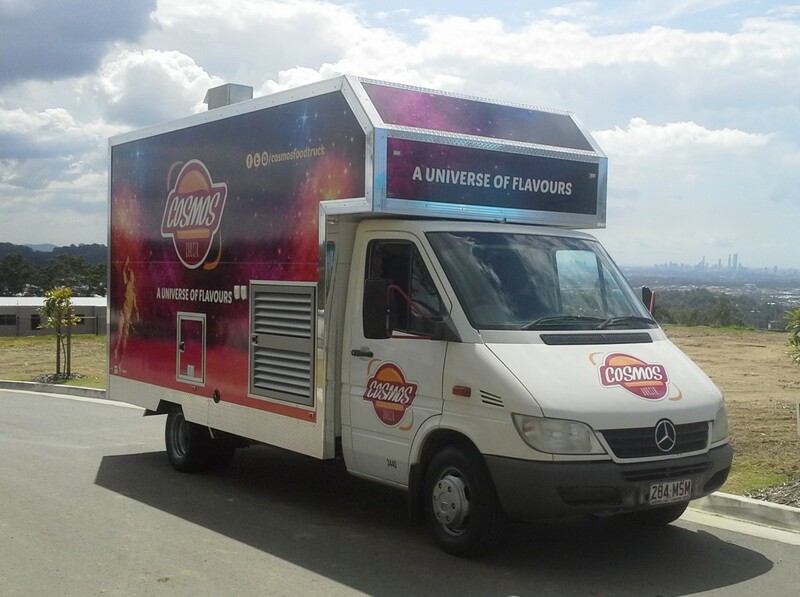 Cristiano & Marcos, your burgers sound out of this world! Anyone with a passion such as yourselves for creating and serving good food is going to do well. Can’t wait to sink our teeth into those buns! Since my first contact with Van Demons I knew it. I didnt have to look any further. Working with you has been great, time frame has been respectable, there is NO hidden fees. Just have to say thanks for building my dream. Check out their Facebook page for their upcoming locations and get along to sample some of their delicious food.